​THIS SUNDAY we celebrate the resurrection of Jesus and the hope that brings to all who believe in Him! Invite your family and friends to hear the good news of Jesus. Catalyst Vineyard are running a conference open to all churches in Scotland, and it's right on our doorstep in Cumbernauld! Our Small Groups are returning at the beginning of May. Last term was an amazing time of fellowship with God and each other - the best we've had yet! 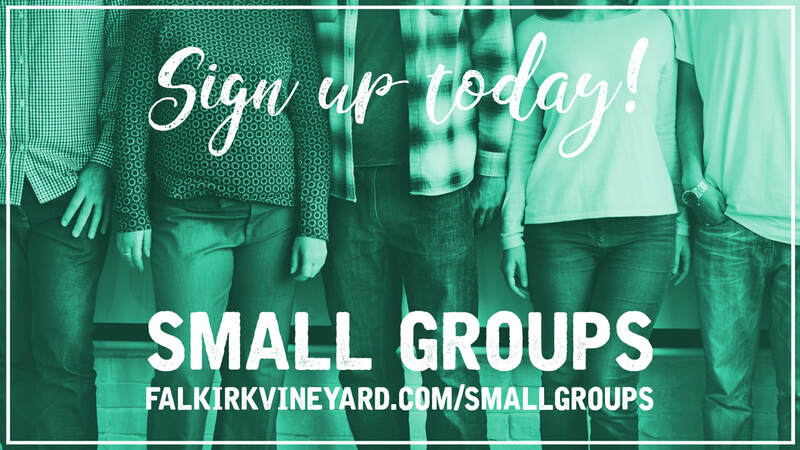 We want everyone at Falkirk Vineyard to be a part of a group. They happen all over Falkirk, and you can find out more and register HERE. If you're new to Falkirk Vineyard, we’d love to get to know you – and you might want to find out more about us too! ​and find out how you can get involved in church life. Our next Connect Party is on Sunday, 28 April at 3pm. It's time to burn rubber and test your speed against other competitors! FV Men are going go karting on Saturday 11 May, 7pm. The price is £20 per head. £10 deposit required and can be given to Blair Henderson or Bill Sharp at Sunday services. Space is limited so it's first come, first served. ​Find out how you can get involved with DTI (Dreaming the Impossible), whether you are a youth or an adult who'd like to make things possible for our teenagers. On Sundays we're working through the book of Acts and allowing God to teach us about how Jesus works in and through His church by the power of the Spirit. You can catch up with previous sermons and videos HERE. Jesus was baptised and asks all His followers to do the same - so we're having a baptism service on 30 June! If you'd like to obey Jesus and follow in his steps, then visit our baptism page to find out more and register.